Just a few days ago, I filled my truck up for $1.73 a gallon. Gasoline for less than two dollars a gallon! Can you believe it? For those of you who have a thirteen year old teenager, the price of gas hasn’t been that low since your child was born. For baby boomers who can barely remember cheap gas, it’s something we never expected to see again … along with a gallon of milk for less than a dollar (we’re still waiting for that one). This free fall of fuel prices is pretty amazing. Although the cost is creeping back up, economic experts do not expect gas to rise above three dollars a gallon for quite some time. The bottom line is a savings of hundreds of dollars a year for many motorists. Let’s hear it for so many hard-working moms and dads! So what does the price of gas have to do with God’s sovereignty? In my opinion, absolutely everything. Through God’s gift of free will to the human race, the Bible is clear that he allows individuals and nations to make choices that affect their lives and destiny. But throughout history, Scripture is equally clear that God sometimes intervenes in human affairs, both naturally and supernaturally to accomplish his short-term and long-term purposes for the human race. 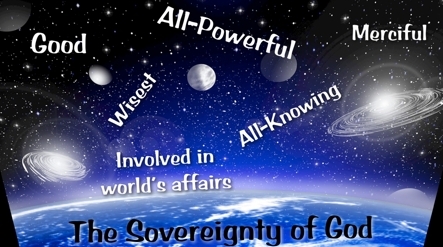 Many passages in Scripture speak of his divine sovereignty, such as: “The Lord has established His throne in the heavens, and His sovereignty rules over all” (Psalms 103:19, NASB). And, “God reigns above the nations, sitting on his holy throne” (Psalms 47:8). We don’t know what’s going to happen next hour, let alone next month or year. Yet, by our decisions and actions, by our good choices, bad choices or indifferent choices, we can change things that otherwise would or would not have occurred. We can also be changed by the decisions and behavior of others, by events beyond our control. How then, does God still achieve his plan? How does he circumvent the innumerable bad decisions that we all have made, not to mention the evil in the world to accomplish his purpose? Okay, I’ll give you a hint: Because he is God! This isn’t just the humble opinion of one man, nor is it a cop-out, nor is it an oversimplified answer to an otherwise unfathomable question or concept. To be sure, however, the “hint” does beg the question: he can do anything because he is God. But that still doesn’t explain how he does it. So we are left begging the question because it is simply beyond our natural, finite comprehension; which is why God doesn’t demand or even ask that we completely grasp his providential sovereignty. 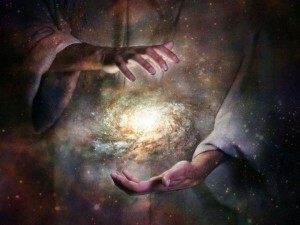 If we could wrap our finite minds around his infinite omnipotence and omniscience, I suppose that we would be God. Ironically, that’s exactly what most of mankind, including natural scientists, human secularists, occult spiritualists, God-less governments and agnostic academia in general try to do. They inevitably ascribe to themselves the controlled capacity, the distinctive domain, and the potent position of determining their destiny. And, if you will but afford them the privilege and opportunity; if you will “give them an ear,” they will gladly assist you in discovering your origin and purpose for life. Ultimately, if you yield complete attention and allegiance, they will be delighted to direct your future (page 22). In the global arena of fuel supplies, for decades we have been at the mercy of the OPEC nations, chief among them, Saudi Arabia. But those days may be coming to an end. In a recent interview with an OPEC representative, the stated reason for OPEC’s continued production of an abundant supply of oil is because they want to maintain a market share to compete with increased output of non-OPEC oil and gas reserves. If this means tolerating losses due to competitive declining prices, then so be it. Actually, what it really means is that they are willing to be less greedy and settle for less than the enormous profits of the past! For an indefinite period of time, Saudi Arabia—including some smaller OPEC countries—can and will absorb the revenue loss from lower fuel prices. Along with (especially) Israel, the United States, and the European Union, Saudi Arabia is also deeply disturbed with Iran’s nuclear ambitions. Saudi Arabia’s enormous distrust of a nuclear-armed Iran trumps their need for vast wealth. Although they (tacitly) support the idea of an American (or even Israeli) preemptive military strike against Iran’s nuclear plants, they also appreciate the debilitating effect of economic sanctions against Iran, imposed by the US and/or the EU. However, should America and the EU relax its sanctions in a completely misguided and misunderstood effort to “negotiate” with Iran, OPEC nations aligned against Iran can rely heavily on Iran’s huge loss of revenue from this unparalleled drop in the price of oil. Most experts agree: It will be extremely difficult for Iran to invest more billions in its nuclear program if, in fact, most of those billions are no longer available. It’s no secret that Iran’s military budget depends desperately on revenue from high oil prices. The tremendous impact of a 50% decrease in the price of a barrel of oil in just the last six months could severely cripple the best laid plans of Iran’s military objectives; indeed, of its entire economy. It would also drastically reduce this Islamic Shi’ite regime’s funding of terrorist organizations such as Hezbollah, Hamas, Islamic Jihad and others. As Daniel Yergin, an expert in oil finances wrote, “The OPEC members in big trouble are the ‘have-nots’—those with small financial reserves and high government budgets.” These have-nots include Russia, Venezuela, and Iran. What we have here is an incredible Win-Win situation, when most of the time recent world events have resulted in a Lose-Lose … or at the very best, a Win-Lose scenario. I’m referring to the one-step forward, two steps backward progress against things like a weak global economy, or dealing a blow to one terrorist group like Al-Qaida (death of Osama Bin-Laden); only for another more vicious, more blood-thirsty gang of terrorists to take their place … ISIS. I’m sure that many Christians in the United States and believers all over the world have prayed that US President Obama and other government leaders will not capitulate to Iran’s distorted and diabolical desire to produce nuclear weapons. Many have voiced their strong disapproval of negotiating with a radical regime whose avowed objective is the destruction of Israel, but also of the country that their Islamic clerics and leaders have often called the Great Satan, none other than the USA. I firmly believe that God, in his mercy and sovereignty, has heard these prayers. Which can explain the inexplicable, give insight to the inconceivable, provide meaning to the otherwise unfathomable, completely unexpected and (in terms of historically high fuel cost) unprecedented plunge in gas prices. While, at the same time, throwing a giant wrench into the Iran’s nuclear machinery by severely limiting the monies needed to build or buy that machinery. Make no mistake: Among the myriad of ominous global developments including the ugly resurgence of Anti-Semitism mostly in Europe (of all places … the site of the Holocaust just one generation ago), the most dangerous of all (especially to Israel) is that of a nuclear Iran. So much so that our Republican dominated Senate and House has called upon Israeli Prime Minister Benjamin Netanyahu to address the United States Congress on March 3rd. Many kudos to our legislative leaders for inviting Prime Minister Netanyahu, who knows better than anyone the grave peril to Israel, the Middle East including Arab countries, and virtually the entire world should Iran become nuclear. And shame on our Presidential staff to scorn the Congressional invitation and refuse to attend this historical event just to snub Israel and her Prime Minister. Under, sadly, the hypocritical pretense of not allowing foreign leaders (politicians) to meet with US executive leaders a few weeks before that foreign country’s election. While at the same time sending Democrat lobbyists to assist Israeli liberal opponents of Netanyahu’s Likud party. I’m not normally one to bash any sitting President, mostly due to my great respect for the most important position in our country, but also in (at least some) deference to the one occupying that position. But wrong is wrong; right is right. And, no, I’m not equating right or wrong to beauty (for example), which is in the eye of the beholder … a subjective evaluation of the one deciding what is right or wrong. Rather, I’m referring to the truth of Scripture; applicable, in this context, to God’s unmistakable sovereign plans for the Jewish people and the nation of Israel. And, in turn, how nations of the world treat Israel. We all should be seriously concerned about the growing hostility of our executive branch against Israel, as expressed by this latest friction between our President and Israel’s Prime Minister. I’m not talking about personality differences or variances in political strategy and the like. Instead, I’m getting straight to the heart of the matter, to the heart of God. Which among other things includes a Biblical prophetic warning and (down through the ages) a historically documented fact: Any and all nations who treat Israel with contempt (harassment, oppression, suppression, mockery, denial of Jewish rights to the land, economic sanctions or boycotts, siding with her enemies, and certainly hatred and murder to the vicious extreme of genocide) have paid and will pay a great price. A price exacted by God, himself, as demonstrated against nations listed in Scripture and those in existence during the last days of the end times, which is today’s world. History is littered with the corpses of nations that attacked or subjugated Israel, only to be utterly defeated and destroyed themselves. Where is mighty Babylon? Have you seen an Assyrian lately? Show me where the Roman Empire is today. Though the contemporary nation of Iran arrogantly boasts of her military might and her capability (now by conventional means, later by nuclear means) to annihilate Israel, what happened to the mighty Persian kings of her gloried past? That Persian Empire is long gone, one of several national victims of God’s sovereign promise to judge nations and peoples that attempted to wipe Israel from the face of the earth. God’s omnipotent sovereignty will be vividly displayed in Iran’s humiliating defeat during her vain alliance with Russia in the Gog/Magog attack on Israel. However, that doesn’t mean that the United States or any other nation should ignore the profound consequences of endangering or abandoning Israel through reckless negotiations and agreements with countries bent on Israel’s destruction. If we persist in putting Israel in peril, you can bet the farm that this nation will suffer the same fate as ancient Babylon or Persia. That is if you have a house left to bet with even before the great end-times battles begin. A collapsed economy far worse than the Great Depression of the 1930s or the Great Recession of 2008 may reclaim millions of homes across this once great nation that we love and in which we have the freedom to express that love and to worship the true and living God. But for how long? We need to wake up from our spiritually drunken stupor! We need to pray for God’s mercy. We need to speak up for the truth of God’s salvation. We need to expose the new morality for what it is; where bad is good and good is bad—which is nothing more than age-old immorality wrapped in a contemporary cloak of lies about tolerance and diversity. Despite the totally unique and diverse feature of Christianity (God through his Son dying for our sins … doing for us what we could not do for ourselves), if you are a Christian you are not diverse. So say those who despise God, Christ, and anyone who claims to have been born-again by the redemptive sacrifice of Jesus. If you believe and repeat the very words of Messiah Jesus, who said that He is the only Way, Truth, and Life; no person can come to God except through Him, then you are not tolerant. Don’t bother those who say otherwise, with the facts. Don’t try to reason with them, because they only know how to argue in a circle. The fact is: If someone claims that someone else is not diverse (espousing diversity) or not tolerant because of what they believe, then the one making that indictment (by logical definition and by default) is also intolerant. If they accuse someone else of being intolerant, then what does that make them? Tolerant? If so, then one plus one must equal three. Even milder mistreatment such as disrespect, denigration, or constant disapproval of Israel will have ramifications. But if we deliberately snub Israel to the point of scorn or humiliation and certainly hatred, then it is a Biblical certainty: God will snub the United States of America, primarily by withdrawing his protection from this country that God blessed from its birth. And that won’t be a pretty sight. To the potential extreme that if we allow Iran to develop nuclear weapons, then pray to God that one of those nuclear-tipped missiles doesn’t explode on American soil. At least for the moment, I believe that God has sovereignly circumvented the folly of this nation and other nation’s ignorance and dismissal of God’s supreme counsel found in Scripture concerning the nation of Israel. Specifically, how abuse of Israel will rebound like the recoil of a powerful weapon against those who despise God’s chosen people/land. The Lord has extended his grace to believers and unbelievers alike through divine intervention; with regard to the beneficial result of drastically reduced gas prices to help jump start our nation’s still sluggish economy; and at the same time making it much more difficult, if not impossible, for Iran to finish their (not-so-secret) malevolent plan of manufacturing nuclear weapons. At the minimum, it provides more time for Israel to convince the United States and the EU to wake up, to come to their senses and realize that the Iranians mean business. They are absolutely serious about destroying Israel and setting up an Islamic Global Caliphate in which Muslim Sharia law will rule the world. First Israel, then the World is their malicious objective, as is the goal of ISIS and other terrorist groups and even entire nations. God is so patient. He gives individuals and nations an extraordinary amount of time to change their mind and their ways, to turn to him (unbelievers) and return to him (believers). But only up to a point; eventually even the patience of God will be tested. If we cross red lines established by God or allow other nations to cross those red lines, or erase legitimate red lines that we, ourselves, create; then enough will be enough. One red line already drawn is found in Genesis and in other passages throughout Scripture concerning Israel and Gentile nations. In no uncertain terms, God declares to Abraham and his descendants (Israel): “I will bless those who bless you and curse those who treat you with contempt. All the families on earth will be blessed through you” (Genesis 12:3). (I have said the same thing in a few Eye of Prophecy articles such as, Let’s Make a Deal, published December 14, 2013, which presents similar challenges found in this article. Also, For Such a Time as This, published March 15, 2014. I would encourage you to click on those articles in the archives of our blog site). When the Lord shows great favor to us by supernaturally intervening in personal and world events, shouldn’t we acknowledge him in the matter of individual, state, and national affairs; instead of ignoring or even snubbing him in virtually every area of our individual and corporate lives. To say as our Savior, God’s Son, said to his Father just hours before he died a cruel death on a cross, “Yet not my will, but yours be done” (Luke 22:42, NASB). 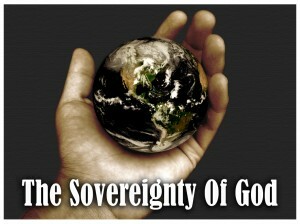 In fact, God’s sovereign will was done. By raising Christ from the dead, God accomplished his mighty plan of salvation for you and for me. He providentially turned the cruel torture and unjust death of his Son into the greatest episode of human history and the utmost blessing known to mankind. “For God made Christ, who never sinned, to be the offering for our sin, so that we could be made right with God through Christ” (II Corinthians 5:21). “For God so loved the world (you and me) that he gave his only begotten Son, that whosoever believes in Him should not perish but have eternal life” (John 3:16, KJV). Our Sovereign Lord is just a whisper away. Or if you prefer to shout, then yell! After God sovereignly shook the Philippian jail, “…to its foundations. All the doors immediately flew open, and the chains of every prisoner fell off! The jailor woke up to see the prison doors wide open. He assumed the prisoners had escaped, so he drew his sword to kill himself. But Paul shouted to him, ‘Stop! Don’t kill yourself! We are all here!’ The jailer called for lights and ran to the dungeon and fell down trembling before Paul and Silas … ‘Sirs, what must I do to be saved?’ They replied, ‘Believe in the Lord Jesus and you will be saved…’” (Acts 16:26-31). So, why don’t you join me in a heartfelt prayer of gratitude to the Most High God and to the Son of God? Whether you doubt there is such a God, or whether you question that Jesus Christ died for your sins and freely gives you redemption through simple faith in him, it will do us all good to acknowledge God’s grace, mercy, and sovereignty. In spite of your doubt, if you are sincerely seeking divine answers and truth, then reach out to God and he will reach back to you. Draw near to him and he will draw near to you. These are God’s promises in Scripture. Thank you, Lord, for who you are and what you do. You are so great and so very good. Thank you, Jesus, for dying on the cross for me and rising from the dead so that I can be saved from my sins and have eternal life. Thank you for your providence in the little and big things of my life. I am thankful for lower gas prices. And equally grateful that you have made it more difficult for Israel’s enemies to carry out their threats against your chosen people, but also against nations and the people of those nations who agree with your Word and say with the Psalmist: “Blessed is the nation whose God is the Lord, the people whom He has chosen for His own inheritance.” (Psalm 33:12, NASB). “The Lord looks down from heaven and sees the whole human race. From his throne he observes all who live on the earth. He made their hearts, so he understands everything they do. The best-equipped army cannot save a king, nor is great strength enough to save a warrior … But the Lord watches over those who fear (respect, acknowledge, in awe of) him, those who rely on his unfailing love… We put our hope in the Lord, He is our help and our shield. In him our hearts rejoice, for we trust in his holy name. Let your unfailing love surround us, Lord, for our hope is in you alone” (Psalms 33:13-22). “No pagan god (man-made) is like you, O Lord. None can do what you do! All the nations you made will come and bow before you, Lord; they will praise your holy name. For you are great and perform wonderful deeds. You alone are God” (Psalms 86:8-10). Come on brothers and sisters in Christ. Let’s agree with God when he says: “Then if my people who are called by my name will humble themselves and pray and seek my face and turn from their wicked ways, I will hear from heaven and will forgive their sins and restore their land” (II Chronicles 7:14). Great is our God, and greatly to be praised! 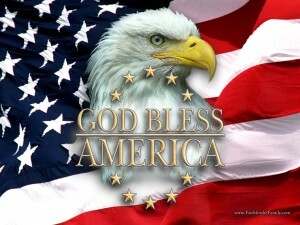 May God bless America! May God bless Brazil! May God bless … all peoples and nations whose God is the Lord. A Dramatic Enactment of the Rapture!